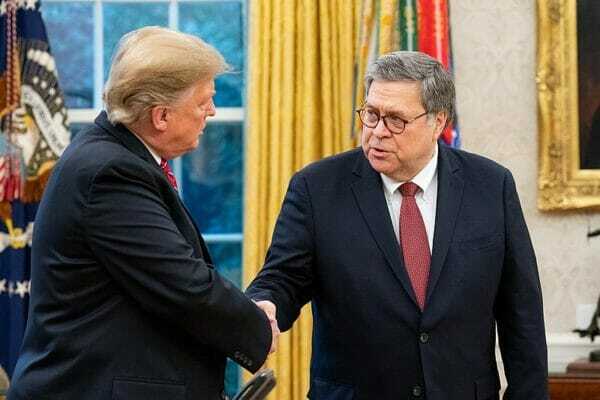 Several weeks ago, Attorney General William Barr published his summary of Special Counsel Robert Mueller’s inquiry into the Trump campaign’s alleged collusion with Russia and subsequent obstruction of justice. If Barr’s synopsis is at all accurate, Mueller’s report will be of little consequence. In a seeming victory for the President, Barr’s letter notes that Trump’s 2016 campaign did not collude with foreign governments or agencies, despite multiple invitations to do so from Russian operatives. On obstruction charges however, the special counsel’s findings appear to be less black-and-white. While, according to Barr, the investigation does not recommend indictment or further prosecution of President Trump, it also explicitly states that this by no means an exoneration of the President- despite his claims to the contrary. Indeed, many have pointed to a longstanding precedent against indicting sitting presidents to imply that even if Trump were wholly guilty of obstruction, Mueller’s ultimate legal recommendation — and thus Barr’s letter — would remain the same. But because of this ambiguity, this legal gray-area, both supporters and defenders of the President can make what they want of the report. For Democrats who have made constant allusions to the Trump’s illegitimacy as Commander and Chief a cornerstone of their rhetoric, any hint of unsavory behavior will undoubtedly constitute an impeachable offense. But for Republicans whose electoral strength relies heavily on the President’s base, it would take a monumentally damaging conviction to make them turn on him. Since Mueller’s findings contain no small amount of legal limbo, however, and offer no conclusive determination, neither side got what they were hoping for. No total exculpation nor complete conviction was given. Since the release of Barr’s letter, calls for the release of the full Mueller report have abounded, And indeed it should be publicized: the public has a right to know both our President’s conduct and what exactly the FBI has been up to for the last 2-plus years. But despite its magnitude and volume, even Mueller’s full 400+ page report is unlikely to change many minds. People, and especially politicians, will see what they want to see in its complicated conclusions, and will use it to rationalize their preexisting feelings about the President. The debate surrounding this issue has and will continue to be fraught, especially once the full report (minus any redactions) is publicized. Politicians and pundits will excuse and accuse, debase and defend. But when all is said and done, Trump’s approval rating will remain relatively unchanged. By releasing his findings without a conclusive judgement, Mueller did the job required of him by law, but not the job either side of the aisle hoped for. Rather than play judge, jury, and executioner (or witch-hunt identifier and bail poster as the case may be), Mueller and Barr have simply laid out the facts to a jury whose members have already made up their minds.